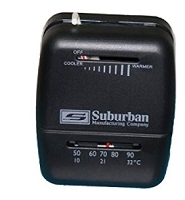 Don't be caught with a broken Rv thermostat on your next road trip. 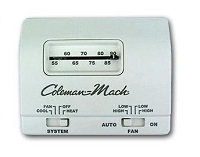 RV furnaces have to run on a thermostat. 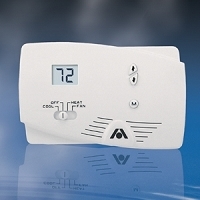 With our LARGE selection of RV thermostats by Carrier you will be able to climate control your trip with less hassle. 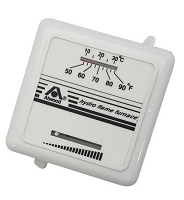 HUGE selection of RV thermostats by Carrier. Choose between wired wall mount or remote controlled. 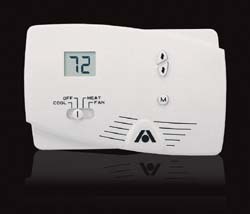 Also check out our Rv digital and regular thermostats. 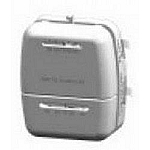 For Dometic thermostats, visit our air conditioner category. Get all you need today from RVpartscountry.com to keep your RV heated or cooled for your next RV adventure. Keep your family cool or warm today.